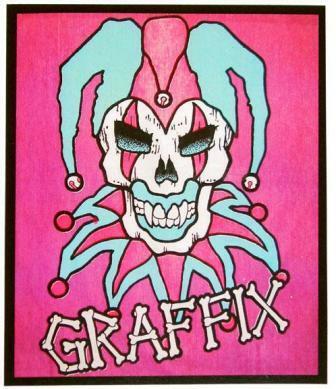 This wall hanging has the graffix jester design. It's a black light responsive wall tapestry that would look great in a bedroom or dorm room. Measures approx. 24" x 29".